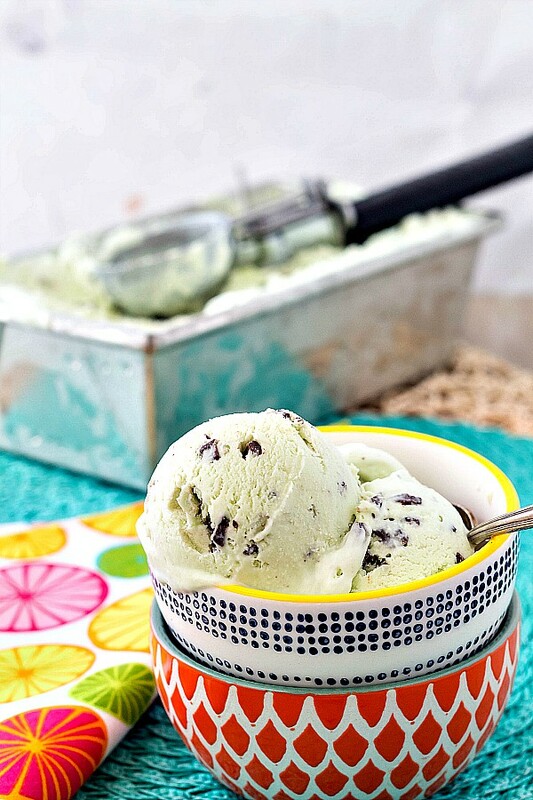 Andes Mint Ice Cream (No-Churn) is easy to make and refreshingly cool and minty on a hot day. It’s also a wonderful cold weather ice cream. Let’s make some, shall we? I always looked at no-churn ice cream with a squinty eye. It just seemed too good to be true that you could make ice cream smooth and creamy without churning. And then finally I broke down and ended up throwing together this Andes Mint ice cream last night. Not sure what possessed me–I guess it was just Time! And I have changed my mind about no churn ice cream. Forever. Pro Tip: After a few batches of no-churn ice cream, I have found that if you whip only until the cream and sweetened condensed milk thickens to about the consistency of melted traditional ice cream–so just somewhat thickened–it acts more like traditional ice cream when it melts. A can of sweetened condensed milk and a pint of heavy cream are all you need to make the base for almost any flavor no churn ice cream you can think of! 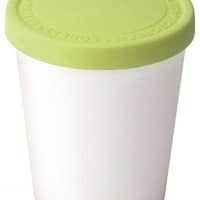 Since no-churn ice cream is basically just sweetened whipped cream and milk, the texture it is when you put it in your container is the texture it will be when it melts. It doesn’t melt into puddles like traditional ice cream. It melts back into the texture of whipped cream. In your mouth, it goes from frozen to poofy whipped cream rather than frozen to melted. This isn’t necessarily a bad thing. It’s just different. Consider no-churn ice cream to be a whipped Philadelphia-style ice cream. No egg. So think Breyers instead of Häagen Dazs. This ice cream is a bit fattier than the ice cream I usually make, and it can leave some butterfat filming your mouth. Again, not bad, just something to be aware of. 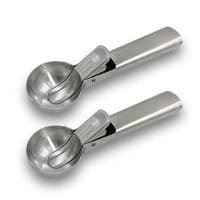 Once it tempers for a few minutes on the counter, no-churn ice cream scoops just about like traditional ice cream. If you let it sit too long, though, you’ll just be serving big scoops of whipped cream! 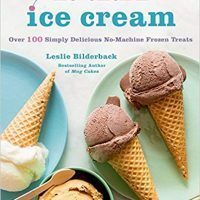 Due to the high butterfat and the thorough whipping before freezing, this ice cream stays smooth and creamy and doesn’t get icy like traditional ice cream can when stored a long time or when melted and then refrozen. 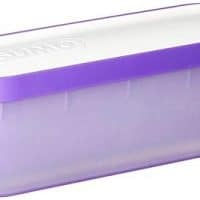 You may already have all of these items at home already, but if not, here’s some kitchen equipment to consider to make your no churn ice cream making life easier. Two are specific to this ice cream–I’m pretty sure you’ll be able to figure out which ones! If you love no-churn ice cream, here are some more recipes you will probably really enjoy. So, now that you know what to expect (if you didn’t already know), it’s time to do this. 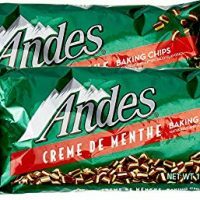 Time for some Andes mint goodness, friends! 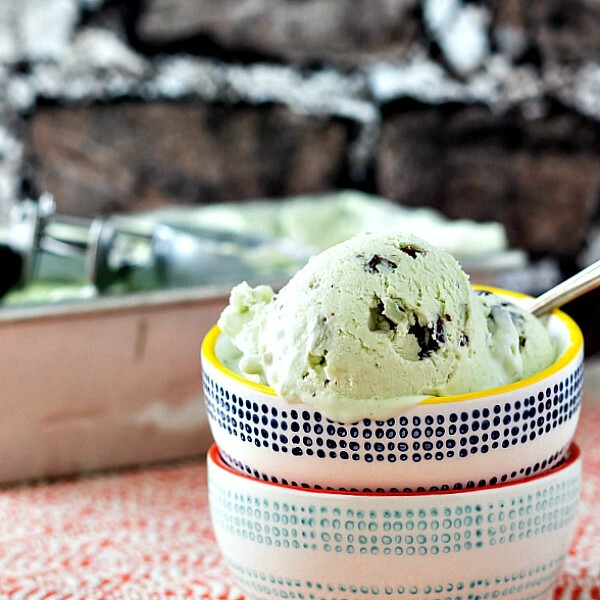 Love the sound of this mint chocolate chip ice cream? Consider rating and/or commenting. I love hearing from readers. And if you make it, and I really hope you do, please share a photo with me on Instagram by tagging @onlinepastrychef and using hashtag #pcorecipe or share it in the Pastry Chef Online Facebook group. I can’t wait to see your version of no-churn ice cream! 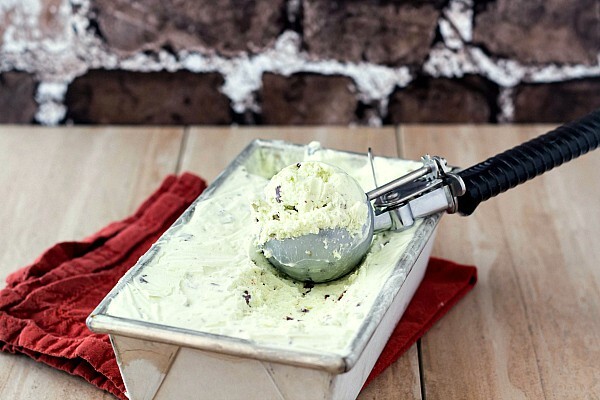 This no-churn Andes Mint Ice Cream is light and refreshing. It packs a double mint punch both from the peppermint oil in the base and the mint in the Andes candies. The perfect summer ice cream, and no churn required! 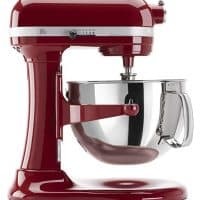 In the bowl of your stand mixer, combine the cream, sweetened condensed milk, vanilla, salt, peppermint oil or extract and green food coloring. Start with a lesser amount of peppermint oil/extract and green food coloring. Taste once you begin whipping and add more if necessary. Fit the mixer with the whisk attachment and whip on medium speed until it starts to thicken, about 1 1/2 minutes. Scrape the bowl to make sure everything is evenly whipped and whip for another 10 seconds or so. Mixture will not hold peaks. Add the mint chips and thoroughly fold in by hand. Pour into a freezer-safe container and spread out evenly. Press plastic wrap on the surface of the ice cream and freeze until firm or preferably overnight. Allow to temper for just a few minutes on the counter before scooping and serving. Nutritionals Based on 10 servings. Note that no-churn ice cream has more calories in it than even super premium ice cream you get from the grocery store, so while it's easier to make and delicious, it's pretty calorie-dense. I've updated the instructions to reflect whipping just until thickened rather than to medium-stiff peaks. See how easy that is to make?! Seriously, I made it and cleaned up all while The Beloved was running a short errand. For him, it happened like magic. For me, it happened almost like magic! 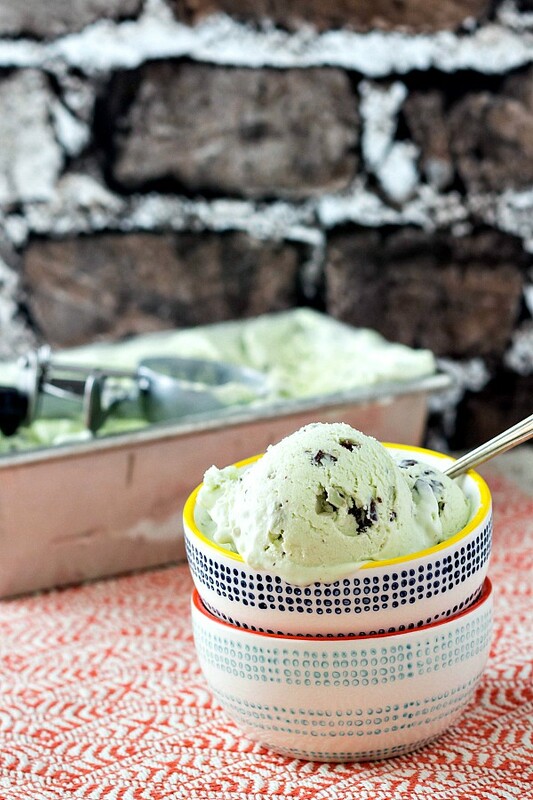 Andes mint ice cream couldn’t be much easier to make. Or eat! 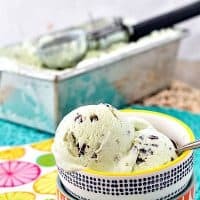 Make some of this mint chocolate chip ice cream magic for yourself at your earliest convenience. I promise it will make you very happy. 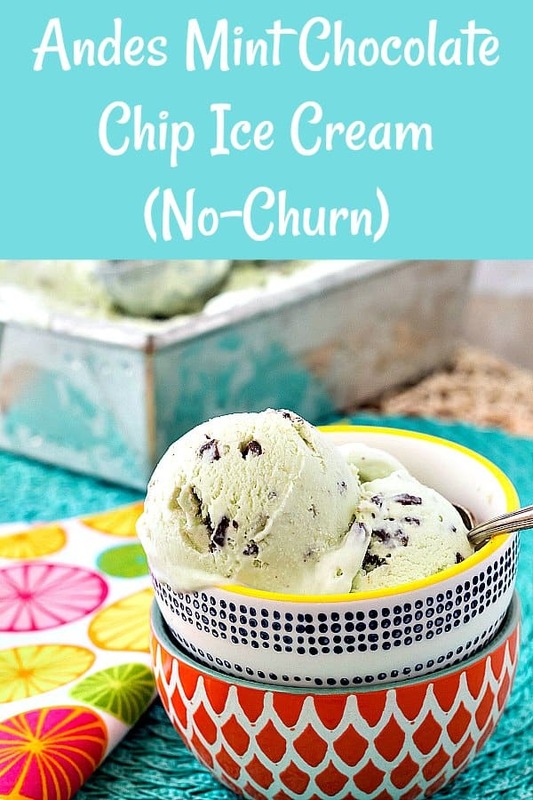 And seriously, if you haven’t tried no-churn ice cream, it is most definitely a viable option, especially for folks who don’t have or want an ice cream maker. This ice cream looks and sounds delicious. Very glad that you compared this ice cream to the churned. I am dying to make homemade ice cream but the heat wave has me listless and not wanting to move. But now, I see this no-churn recipe and I am inspired. I think I will try your basic recipe and add my own tropical fruit flavors. Stay tuned. Thanks for sharing, Jenni! Yes! I bet you could make an incredible mango version, BA! My son’s will love this! They love anything Andes mint. I always have the chips in my pantry.